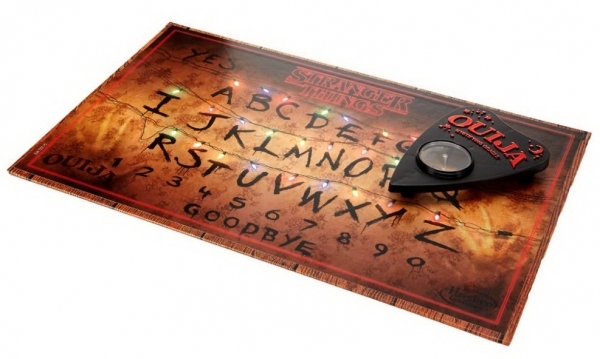 Hasbro, Mystifying Oracle and Netflix have released a Stranger Things version of the popular Ouija board. 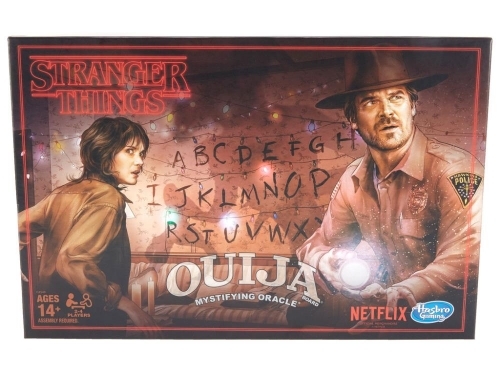 Inspired by the Netflix Original Series Stranger Things this game board features the alphabet spelled out with Christmas lights like in the iconic light wall scene from the show (board does not light up). Summon the courage to ask the Ouija board questions about what happened in the Upside Down, as well as anything else you’d like to know. Will the planchette spell out the answers that you seek?